Xiaomi, the Chinese smartphone maker is looking making an official entry into the entry-level smartphone space with its new smartphone in India. The phone maker is scheduled to launch the new Redmi Go smartphone in the domestic market tomorrow. Touted as the ‘Cheapest Xiaomi Smartphone’, the device will be the first device from phone maker to run Google’s Android Go platform. The phone maker is eyeing to challenge Reliance’s JioPhone and JioPhone 2 with the new Redmi Go. Xiaomi Redmi 7 Launching Today in China; Watch LIVE Streaming & Online Telecast of New Redmi Smartphone Launch Event. The phone will be employing Google’s Android Go software programme that is designed to low-end phones. According to Google, the OS is optimised for speed as well as reliability for low-end phones and it is backed by range of lite applications including Files Go, Maps Go, YouTube Go and more. As the device will be the cheapest offering from Xiaomi, several reports claim that the phone will be priced below Rs 5000. The device will be pitted against the devices running on Android Go from Nokia and Samsung that are priced at Rs 4200 and Rs 5990 respectively. Xiaomi Poco F1 Lite Smartphone Specifications Leaked Online; To Get 4GB of RAM & Snapdragon 660 SoC. We will be unlocking a new world of possibilities. #AapkiNayiDuniya will be revealed on 19th March 2019. RT if you know what's coming. To be introduced as an entry-level device, we can expect Xiaomi to pack high-end specs on the phone like Redmi Note 7. However, there are several reports in the market that claim that Redmi Go will sport an HD display with 18:9 aspect ratio, Qualcomm processor (400 Series), 1GB of RAM, dual SIM, Bluetooth 4.2 and much more. The smartphone will also support over 20 regional languages, Google Assistant in Hindi, Dedicated expandable storage and more. 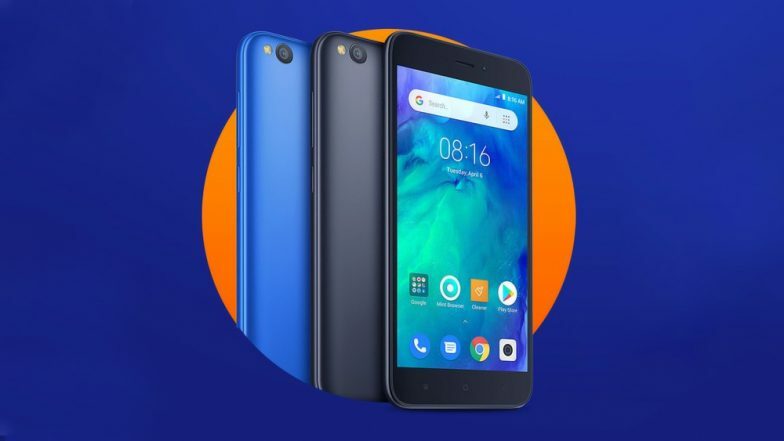 When launched, the new Redmi Go will take on Samsung Galaxy J2 Core, Nokia 1, Nokia 2.1, Micromax Bharat Go and Lava Z50. Moreover, HMD Global is also planning to introduce Nokia 1 Plus in the domestic market soon.